Trying to control the ocean. I was at the beach with my very willful granddaughter, digging in the sand. We had dug a huge hole in the damp sand and eventually found that as the tide came in, gradually our hole was being swallowed up with water. My granddaughter asked me to make it stop, actually, first, SHE tried to make it stop. There is no controlling the ocean tide. Ask the army corps of engineers. Most of my life appears to flow, just move along, moving me toward a destination, giving me the illusion that I’m in control. And then, a wrench, a curve, a boulder in the road, and I am jarred awake! I am not in control at all. So it is with children. Trying to control children is so very much like trying to control the ocean tide. At Midtown Montessori (and when my own children were young), the way we help to keep their attention and steer them where we’d like them to go is to ask them questions and give gentle affirmations, smooth nudges. “How was your day?”, “who did you play with?”, “what did you like in your lunch?”, “you are waiting patiently”, “you look ready to go”, “you have your shoes on”. And when it’s time for bed or dinner or for them to do something we want them to do, my usual question is “great, what’s next?”, “what do we do before bed?”, “where are the pj’s kept?”, “do we brush teeth next?”. Virtually anything you want them to do can be asked in a question. I can tell you that I, with a capital I, completely DISLIKE being controlled; ordered around, told what to do. But ask me a question and I’m full of responses and ideas; I’m full of willingness. Children are not different from us, we’re just taller. It gives me humility and respect to remember when I was short. Try to remember. Helping to care for what you care about most. Hey! 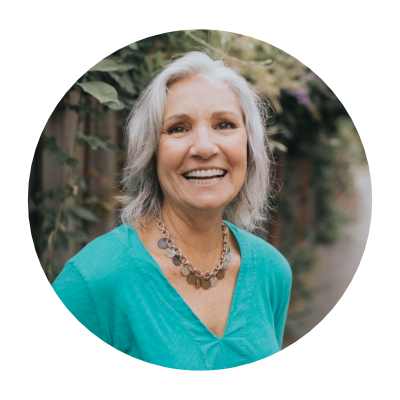 I'm Donna founder of Midtown Montessori in Santa Cruz, California. I'm here hoping to make Montessori style more mainstream because we sure could use more people who LOVE themselves, each other, and the planet. I would love to hear from you, feel free to reach out here with questions, interest in enrollment, topics you would like covered or just comment below. Bottom line: don't be a stranger! Sign-up below to receive our Newsletter- We've been known throw an enrollment discount in there from time to time. There are real, live human looking to connect with you over here, so please don't hesitate to reach out!